4K TV prices are finally on the way down after Hisense revealed plans to bring a sub-£500 model to the UK for the first time. The 40-inch Ultra-HD model (LTDN40K321UWTSEU) that retails at £449 comes in alongside a 50-inch model (£599) and 55-inch screen (£699) and the plan is for all three to add an affordable element to this TV segment but at the same time keep quality at a high level. “The 4K TV market is becoming increasingly competitive with market analyst GfK predicting sales of UHD TVs to tip one million by the end of 2015. 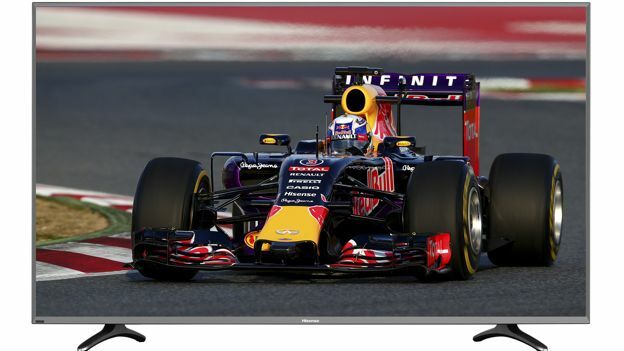 Our new sub £500 40-inch model makes premium UHD TV accessible to everyone without compromising on features or picture quality,” said Howard Grindrod, Deputy Managing Director, Hisense UK. All three models, which are part of the K321 LED series, come with a range of apps including Netflix built-in, HDMI 2.0 ports to facilitate the delivery of 4K content from Blu-ray players, set top boxes and games consoles, and USB 3.0 movie functionality. If you haven't heard of Hisense before, you can be safe in the knowledge that the company is the third largest 4K TV maker worldwide and in the coming year it is focusing on a range of curved panels, edge lit models and high end TVs featuring quantum dot technology. The trio unveiled today, meanwhile, will be ready to bring beautiful 4K brilliance to your living room this autumn.